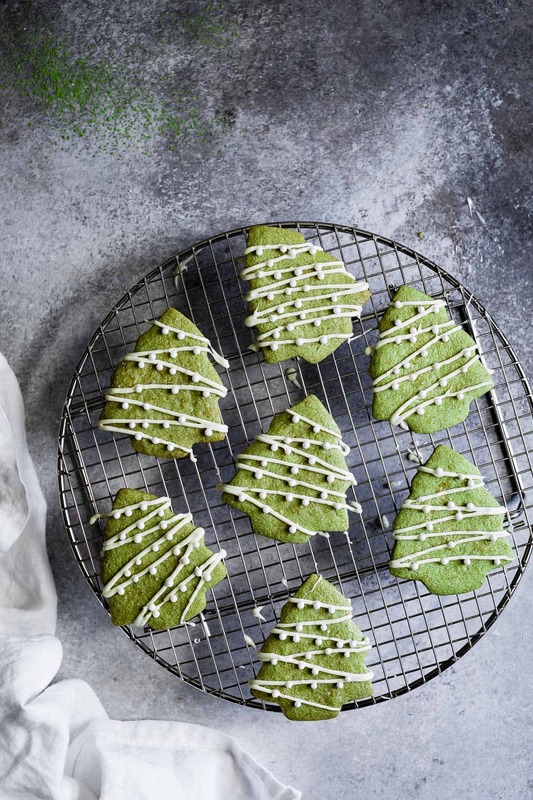 Buttery melt-in-your-mouth matcha shortbread cookies drizzled in a white chocolate garland. 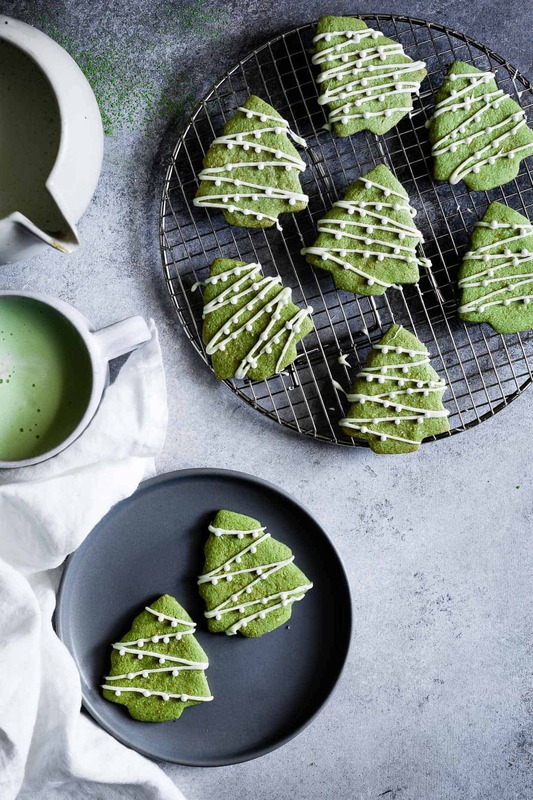 Just in time for the holidays, these festive cookies have a light snappy crumb and a deliciously nutty matcha flavor. Oh hi, how many cookies have you eaten so far this month? 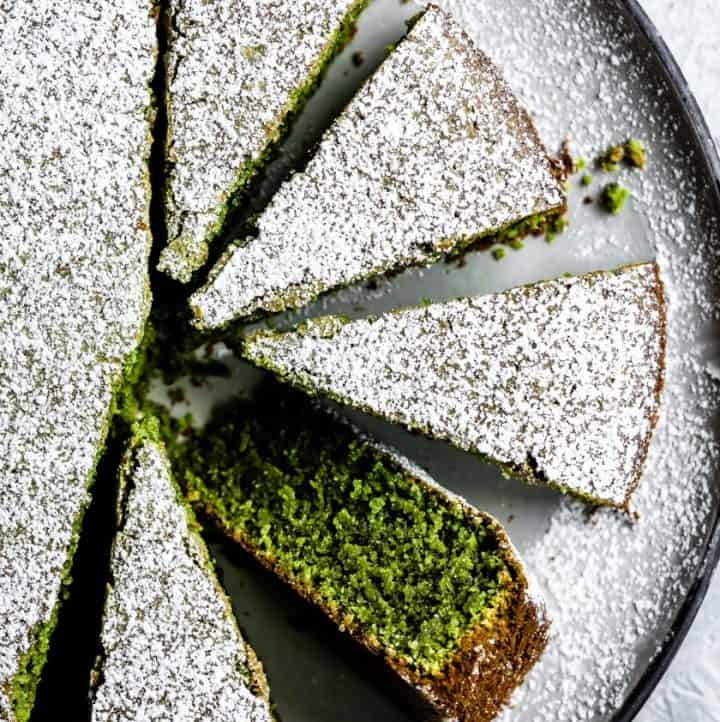 Whatever your number, I’ve surely got a few dozen on you, which means you definitely need to make these gluten-free matcha shortbread cookies this week to catch up. The dough is super simple to mix and they bake up snappy and crumbly, with a light crumb that melts in your mouth like butter. Are you, like me, also wishing you could eat a few plates of cookies and settle in for a long winter’s nap? Hang in there, I’m right there with you. My toddler is having a serious case of the mama-onlys. She loves her daddy, but lately it’s been “No Daddy, MAMA!” at every turn. We park the car and before we even open the door, she yells “No Daddy, MAMA!” And every time she yells it, he’s crushed. While at the same time, a part of me can’t help but wonder if she’s wanting me more because I’m less present than him or somehow not as good of a parent so she’s asking for more. I know I should feel happy she wants me and treasuring this phase, and I am, but working mom guilt is persuasive. Especially when it’s dark by the time you pick your kid up from daycare. So I’ve been working on carving out meaningful memories with her – decorating cookies, making popsicle stick ornaments, and playing dress up. I’ve also been spending my time diapering 5 children, 4 of whom are stuffed cats who really seem to need their diapers changed frequently. Don’t worry, they’re in cloth and, fortunately, daddy is allowed to share in this new responsibility and he’s a pro at buttoning a penguin into a onesie. While I might not get things right all the time, one of my proudest accomplishments as a mom is that I taught my almost 2 year old that her mama does not drink coffee, she drinks matcha. Just wait – soon I’ll teach her how to make it and bring it to me in bed. 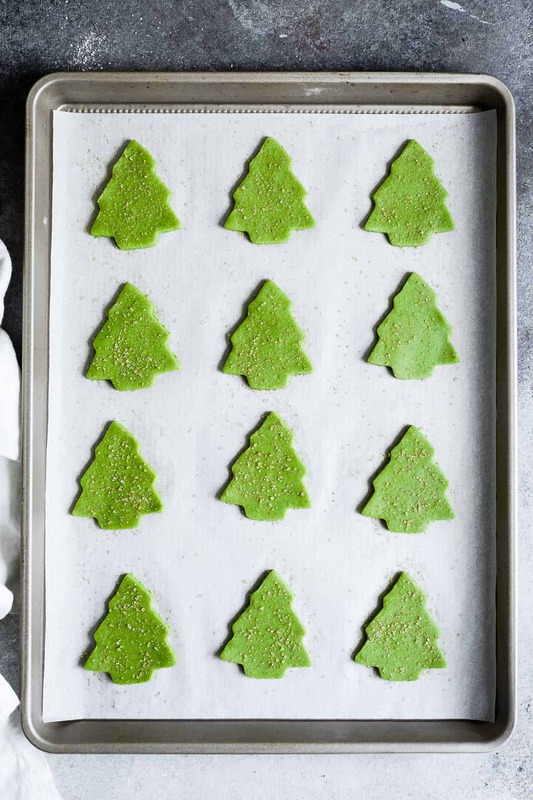 Speaking of matcha, I’ve been dreaming about these matcha shortbread Christmas tree cookies since I first tested a batch last year. 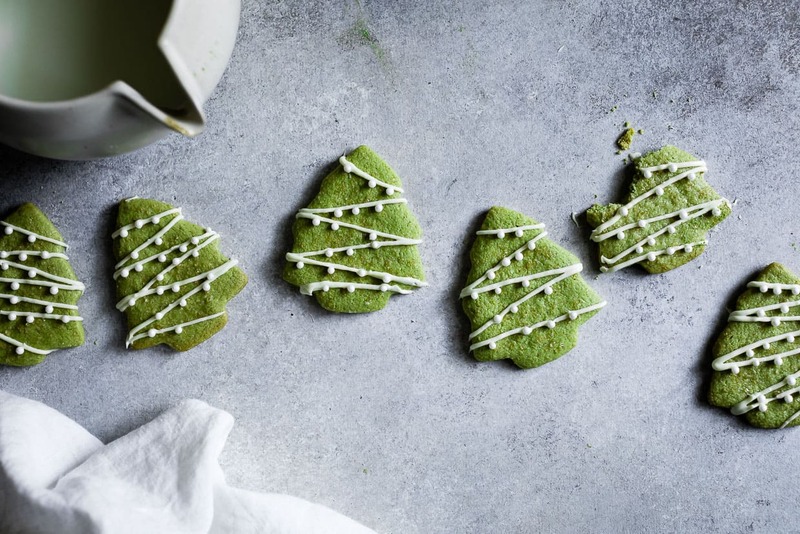 The holiday flew by without time to share it and it’s been burning a hole in my pocket all year – a variation on my pumpkin seed matcha shortbread from a few years back. After about a dozen batches of matcha shortbread Christmas trees had rotated through my oven to perfect the recipe the past few weeks, I stumbled upon my friend Bella’s matcha shortbread men with white chocolate icing from last holiday season (with major heart emoji eyes). While our final recipes are invariably different, I basically just recreated her exact same combo, probably subconsciously inspired by her creativity. Whoops! 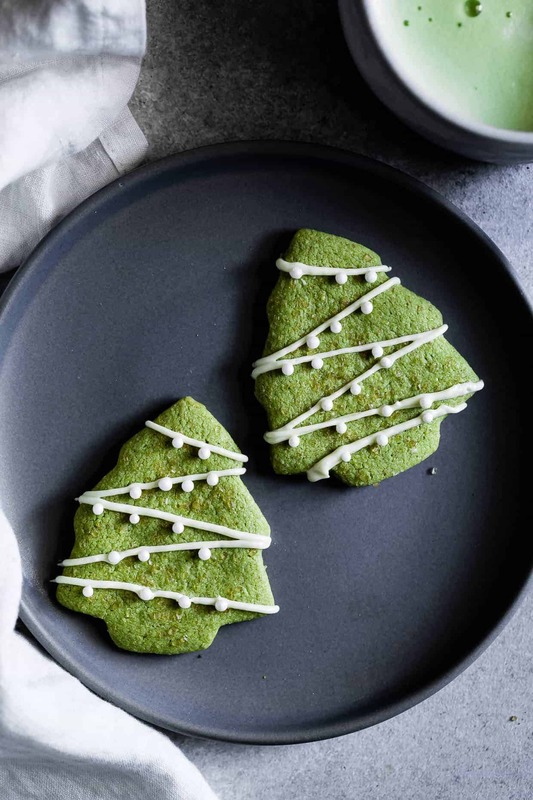 So consider my gluten-free matcha shortbread Christmas trees with white chocolate lights a riff on her white-chocolate scarved matcha shortbread men. If you don’t follow Bella already, she’s also a matcha fanatic like me and, if you are too, you need her in your life. She’s also similarly an Encha enthusiast. 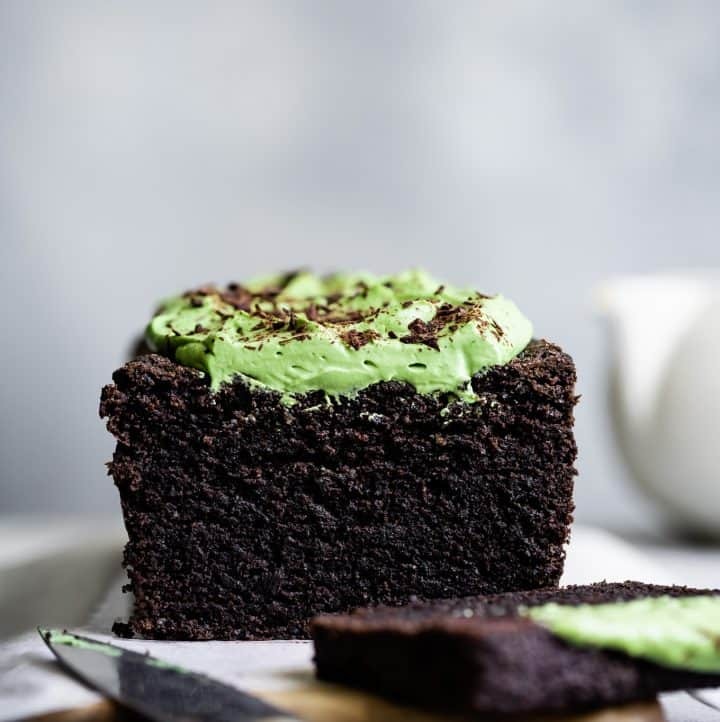 We’ve had long late night calls about all the different matcha varieties we’ve taste-tested and both agree that nothing compares. 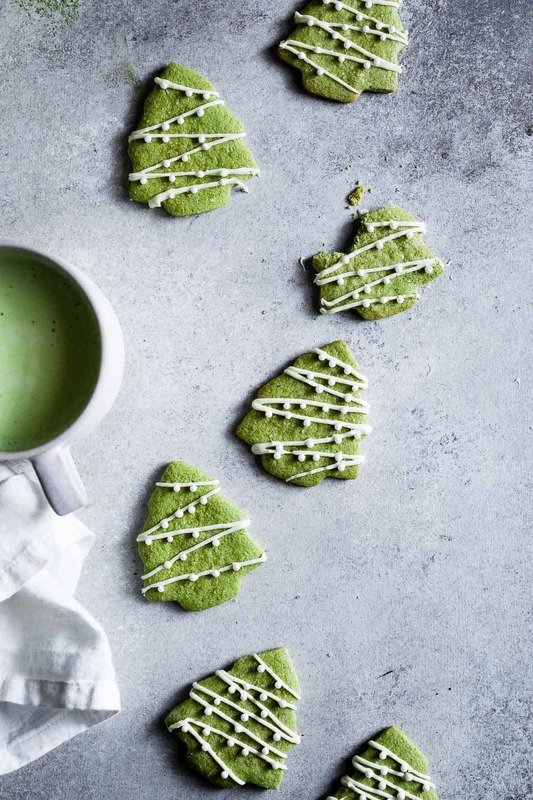 In these cookies, Encha’s organic latte grade matcha adds a vibrantly green hue and a smooth nutty flavor profile that pairs well with the almond flour base. Lucky you, Encha is generously providing a matcha giveaway prize over on my Instagram tomorrow and a coupon code E15Sarah (case sensitive) for 15% off their matcha on Amazon through January 1st, 2018. 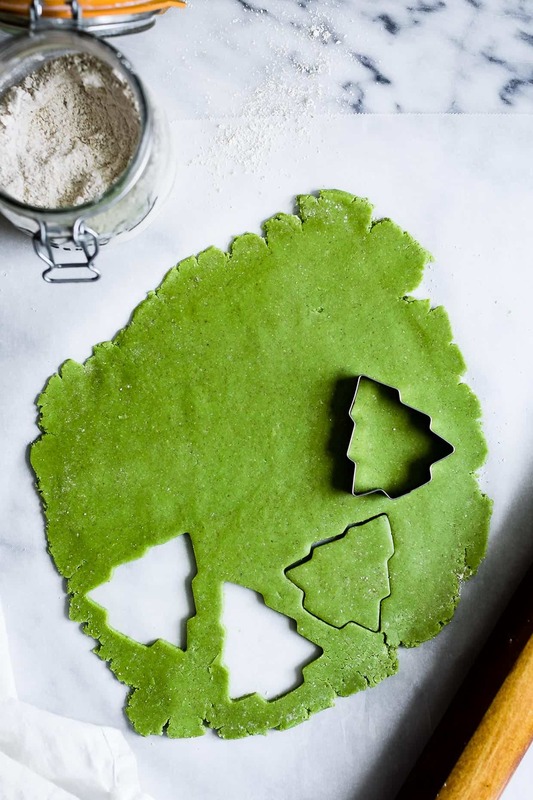 You’ll have no excuse to avoid baking these matcha shortbread cookies (and my other matcha recipes too!). Disclosure: This post is not sponsored but Encha has generously provided the matcha used in this post and for a giveaway on Instagram. So special thanks to them and thanks to you for supporting the brands that keep Snixy Kitchen cooking. Optional: 2 tablespoons sanding sugar or other coarse sugar such as demerara or turbinado. 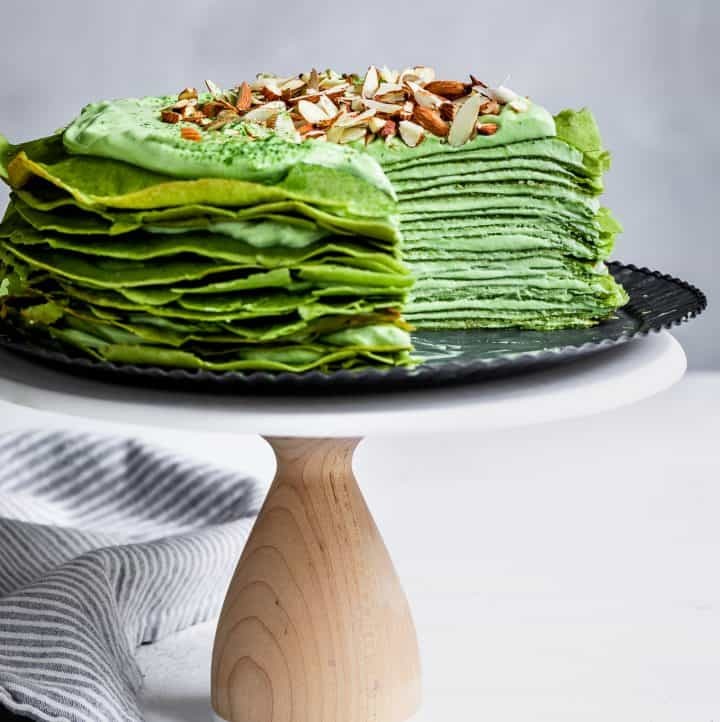 Whisk together the almond flour, oat flour, corn starch, matcha, and salt in a medium bowl. Set aside. 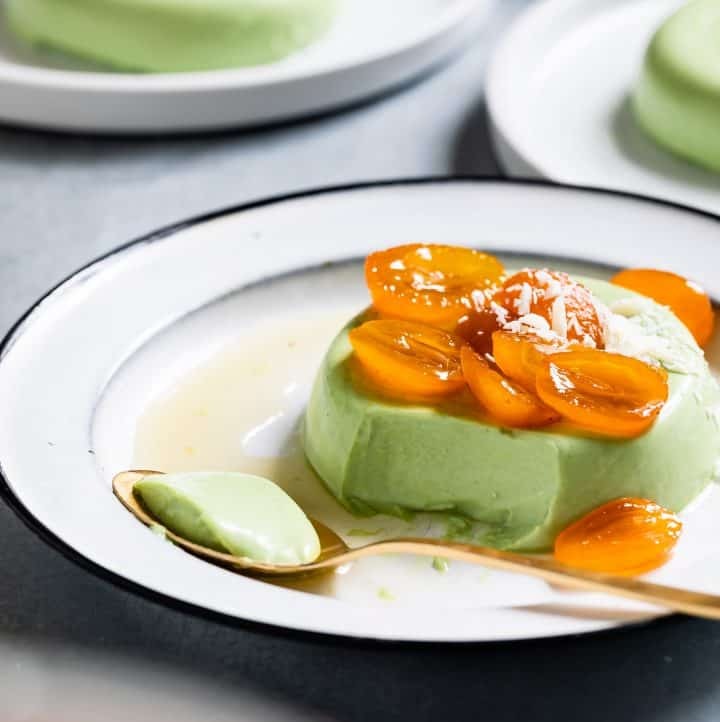 In the bowl of a stand mixer fitted with a paddle attachment or a medium bowl with a hand mixer, beat the butter on high until light and fluffy. Slowly add the powdered sugar and beat until incorporated. When ready, roll the chilled dough out into a 1/4-inch thick oval onto a piece of parchment paper dusted with oat flour. Use a cookie cutter to cut out trees (or your other favorite shape). Using a knife or bench scraper as needed to lift the cookies, transfer cookies to a parchment lined baking sheet, 1-2 inches apart. Repeat until you've filled your baking sheets. Oh my gosh, these are the cutest cookies! 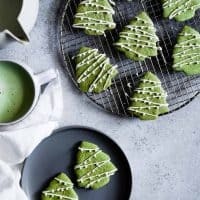 I don’t know why I haven’t used matcha in Christmas cookies before, but I’m totally going to this year! They’re too beautiful (and so well developed) had to drop you a note. Ooooohh the mama phase. We are just entering that over here. Let’s just stuff our faces with these!! Or maybe stuff the baby’s faces?? They cookies look simple & yummy! !Thanks for sharing !